Gift in Memory. A powerful way of supporting our vision of a better future for those suffering from serious brain disorders is to make a gift in memory of a loved one. But it’s not just about us. Celebrating and commemorating the life of a family member, friend or colleague can be for many people a particularly comforting and positive way of dealing with their loss. If this is something that feels right for you, we would love to hear from you. Our Daisy Fund was set up by the family of Daisy Brooks who sadly passed away from DIPG in 2014. 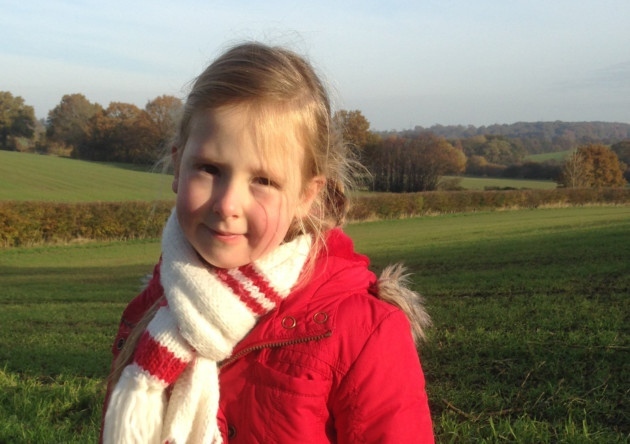 Daisy was one of the first children to receive experimental CED treatment for her tumour. Money raised in Daisy’s memory has been crucial. Enabling us to bring the day when we have an effective treatment for DIPG so much closer. Whether you’d like to talk about setting up a long-term memorial fund for your loved-one or think about asking family and friends to contribute to a funeral collection, please feel free to contact us at sharon@fundingneuro.com. Funding Neuro will offer you any support and advice we can about a gift in memory with the greatest sensitivity. You can be sure your gift will help build a brighter future for countless patients for many years to come.